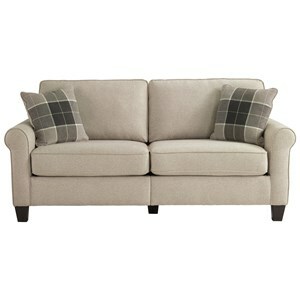 Set back, smooth rolled arms add elegance to this stylish sofa. Sure to make an impression on visitors, the sofa is also comfortable for lounging. 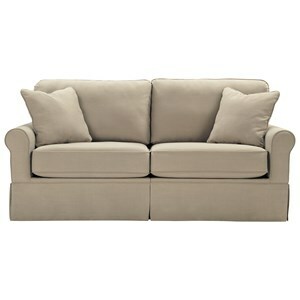 Its loose back cushions and box seat cushions are reversible for durability and more even wear. 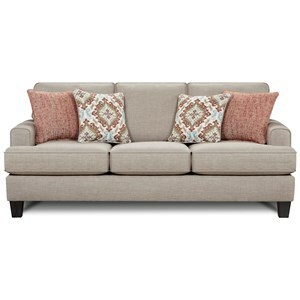 Two sets of large 20-inch square accent pillows add color and coziness to the sofa. 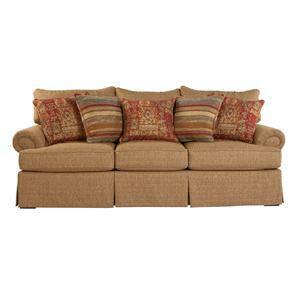 The 3200 Sofa with Rolled Arms and Loose Back Cushions by Fusion Furniture at Olinde's Furniture in the Baton Rouge and Lafayette, Louisiana area. Product availability may vary. Contact us for the most current availability on this product. Browse other items in the 3200 collection from Olinde's Furniture in the Baton Rouge and Lafayette, Louisiana area.